Rustic Traditions Chandelier [CL2645] : Wholesale Lamps, Shades & Bulbs | AHS Lighting Wholesaler, Value priced accent, floor & table lamps with matching shades! 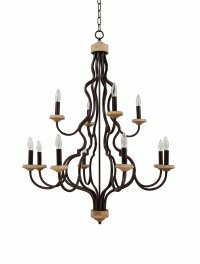 When you need an impressive chandelier Rustic Traditions is your choice. The European style is accented with wood and will be the center of attention wherever it is placed.